These days, with web-based TV services, your hubby and his friends can watch all the sporting action from the comfort of your living room. 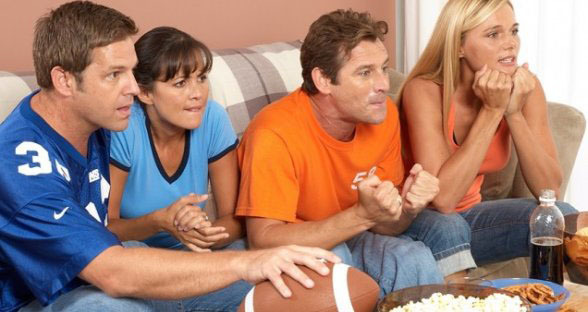 No need to phone frantically around to see who has a subscription to the sports channels or whether the local bar or pub is showing the game; they can relax, have fun, and even gamble, all over the internet. Services like Nordicbet live stream provide a whole calendar of sporting events, from English football and ATP tennis, which is completely free for active customers. If you have funds in your account or have placed a bet in the last 24 hours, then you can easily access the live streaming action from across the globe. Chili: Most of the time you need a familiar, easy-to-prepare dish that will give maximum pleasure with minimum effort. There aren’t many who would turn their nose up at a good chili. Ground beef, onion, your chosen blend of spices (make sure it’s heavy on cumin), tinned beans and tomatoes, and you’ve got a great foundation. There are so many recipes out there: add beer, bourbon, chocolate, and exotic chillies for more flavour. 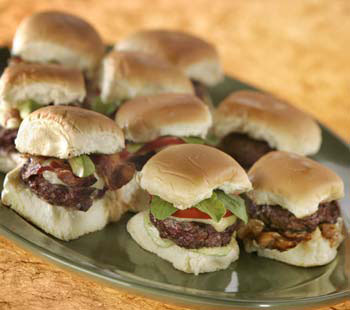 Sliders: If you’ve got some minced beef in the fridge but chili is a little complicated, make some burgers instead. Shape the patties with your hands (no need to add flour or breadcrumbs), cook them over a high heat flipping regularly, add your choice of sauces, toasted buns, cheese, bacon, and so on. Guaranteed to satisfy. Chicken Wings: There are plenty of variations when it comes to making chicken wings. Go Chinese-style with salt, pepper, chillies, and garlic. Or try Buffalo wings with a blue cheese sauce. You might want to just coat them in seasoned flour and deep fry them KFC-style. Potato Skins: These require a bit of time, but most of it involves cooking the potatoes. Take baking potatoes and cook until done, scoop out the flesh and mix with cheese and fried bacon pieces. Then place in the oven again to melt the cheese and crisp up the skins. Nachos: If you’re going to do this properly, make your own salsa, guacamole and cheese sauce using the many recipes online. Garnish with sour cream and jalapenos. You can even crisp everything up under the grill. Buy plenty of tortilla chips as these will go fast. This entry was posted in Snacks and tagged best snacks, snacks, snacks for watching sports on October 20, 2013 by Yami.